Remnant Brewing is happy to be part of Bow Market: a bustling courtyard and community of local retailers, artists, and food vendors who we are proud to support and call our neighbors. We welcome and encourage our guests to visit and explore all that Bow Market has to offer, including its unique drink and entertainment destinations (To find out more about retailers or food check out our Bow Market Eats and Bow Market Shops pages or visit Bow Market’s official site). The Comedy Studio is a home-grown comedy club that’s acclaimed for its nationally known acts, writers, and locally aspiring comedians. It traces it formation back to when a bunch of comedians looked around the industry and thought, "We could add a new twist to this." Sometimes that means new talent, and sometimes it's veterans pushing their boundaries. The casual, open, atmosphere of the Studio is the place where fresh talent is discovered and where national headliners come to try out their new material and polish up the old. Remnant and The Comedy Studio have now partnered to offer discounted tickets with the purchase of our beer! Ask your server for details. For more information on The Comedy Studio, including tickets and upcoming shows, visit their official site. 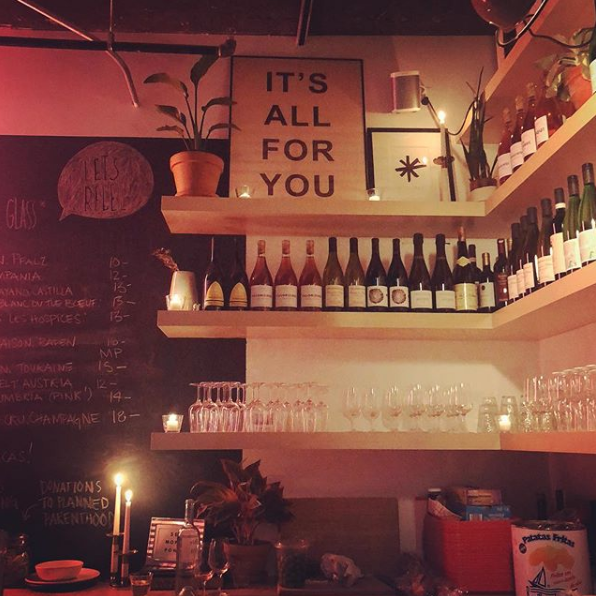 Stop by Rebel Rebel for oodles of fun, obscure, nerd-worthy natural wines for way less money than usual as they serve up joy in liquid form, by the glass, by the bottle, by the liter, by the magnum, by the bucket if that’s your thing. Owner Lauren Friel has worked in the Boston restaurant industry for more than a decade. She’s been a busser, baker, server, barista, and cheesemonger, but she found her true love in wine when she became a sommelier during her time at Oleana and Sarma restaurants. There, she earned the title of Executive Beverage Director, and her eclectic wine programs received local and national recognition, including Wine Enthusiast's 100 Best Wine Restaurants Award, and Boston Magazine's Best of Boston Award. Find out more about Rebel Rebel on the official site.